Dean Heller is longtime resident of Carson City, NV. He earned a bachelor's degree in business administration, specializing in finance and securities analysis, from the University of Southern California in 1985. Prior to entering politics, Heller worked as a stockbroker, and as a broker/trader on the Pacific Stock Exchange, from 1983–88. He then served as the Chief Deputy State Treasurer in the Nevada Office of the State Treasurer, from 1988-90. He was a member of the Nevada Assembly (1990–1994) and a former Secretary of State of Nevada (1995–2007). As secretary, Heller made Nevada the first state in the nation to implement an auditable paper trail to electronic voting machines. While in the Assembly, he authored a bill to reform state retirement pensions. He represented the capital, Carson City. During his time in the Nevada Assembly, he worked as a senior commercial banking consultant for Bank of America, from 1990–95. Heller served in the United States House of Representatives for Nevada's 2nd congressional district from 2007 to 2011. Dean Heller was appointed to John Ensign's vacancy in the Senate in 2011. Heller narrowly won his seat in 2012 by one percentage point and faced the midterm elections as the only incumbent Republican representing a state won by Hillary Clinton (D) in the 2016 presidential election. Despite having the backing of the National Republican Senatorial Committee, who called Heller a "proven leader and is the only candidate with a solid record voters can count on," he drew a competitive primary challenger in Danny Tarkanian (R). 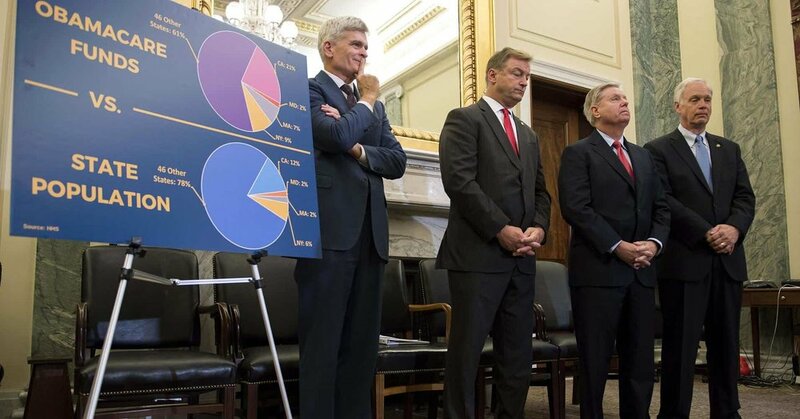 In 2013, Heller was one of 18 Senators who voted against the bill to reopen the government during the United States government shutdown of 2013. Regarding the vote, Heller said: "I wanted to be able to support a deal, but this proposal makes no underlying structural changes that will prevent this exact same crisis from happening again in the very near future. Considering this legislation does nothing to place our nation on sound fiscal footing or cultivate a growth economy that will produce jobs in the long term, I cannot support it." In September 2017, NBC News stated that Heller was “widely considered the most endangered senator up for re-election in next year's midterm cycle,” He was described as facing “substantial opposition from both conservatives within his own party and a general electorate trending Democratic,” and as having “a difficult relationship with President Donald Trump.” At a fundraiser, Nevada Republicans were supportive of Trump but critical of Heller. 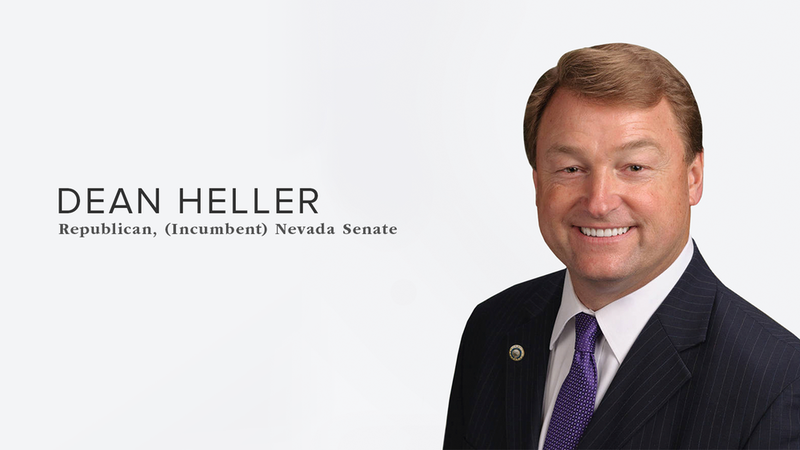 Heller was also challenged by President Donald Trump in July 2017 for his initial resistance to the Republican efforts to repeal and replace the Affordable Care Act. On February 1, 2018, President Trump told Republican National Committee members that he would travel to Nevada to campaign for Heller in a competitive GOP primary. In March 2018, Trump persuaded Tarkanian to drop his challenge to Heller. Tarkanian said that he would instead run for a seat in the Nevada House, with Trump's full support. Heller currently serves on the Committee on Banking, Housing, and Urban Affairs, Committee on Commerce, Science, and Transportation, Committee on Finance, and the Committee on Veterans' Affairs. Our Founders envisioned a government where the people have a right to defend themselves, their home, and their family. As someone who understands the importance of upholding and protecting Nevadans’ constitutional rights, I am an unwavering advocate for our Second Amendment. My record in Washington, D.C., has been crystal clear: I support Nevadans’ ability to exercise their Second Amendment rights. Earlier this year, I voted to end a last-minute Obama Administration gun grab hidden in the Social Security Administration’s policies. This provision unfairly targeted seniors, denying them their Second Amendment rights without due process. Prior to that, I have consistently opposed efforts by the extreme left in Congress to limit law-abiding Americans’ right to bear arms including comprehensive gun control. As a gun owner and sportsman, Nevada can always count on me to protect our values. That’s why I introduced legislation to move the U.S. embassy from Tel Aviv to Jerusalem, Israel’s undivided capital. I questioned the previous Administration on its inability to hold Iran, a significant threat to Israel in the region, accountable for its nefarious activities, including sponsoring terrorism against Israel. I remain concerned about Israel’s safety and security with Iran’s latest aggression to test a ballistic missile and have introduced legislation to impose sanctions against Iran for these ballistic missile tests. In addition, I believe the Iran Nuclear Deal negotiated by the previous Administration has only emboldened this state sponsor of terrorism, and I have opposed this terrible agreement because it does nothing to prevent Iran from obtaining a nuclear weapon. As one of our top allies and promoters of democracy in the Middle East, Israel must have no doubt America will be there to defend it against all foes. SEN. DEAN HELLER (R-NV) AT A JANUARY EVENT WITH VICE PRESIDENT MIKE PENCE. In 2013, I supported an immigration bill that would have made significant reforms to our system while ensuring that those who want to participate in the American Dream can do so. I also worked tirelessly to ensure that Nevada has a seat at the table in any type of federally created border commission. As I have long said though any type of reform must include securing our borders first. This is why in the past I have helped author legislation that would double the amount of Customs and Border Patrol Officers at the border as well as double the amount of fencing. Last Congress I also cosponsored the Secure Our Border First Act. While we are a nation of immigrants we are also a nation of laws. Obamacare is a disaster, and I won’t quit until we repeal and replace it with a free market option that eliminates mandates and stops Washington bureaucrats from making decisions about your health care. I have been working with colleagues on common sense solutions that would improve our healthcare system — including giving more power back to states, where it belongs, and repealing the individual and employer mandates that force individuals to buy a product they may not want or more importantly, cannot afford. He has been endorsed by the Nevada Law Enforcement Coalition, the Business-Industry Political Action Committee and the National Rifle Association.